Ive contacted straight talk to no avail. 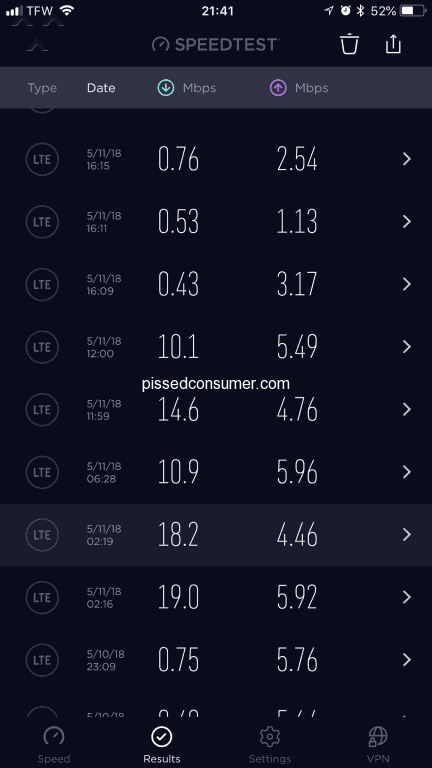 Im slowed down at 10 G Not 60 as unlimited which is not unlimited says. I had trouble just loading this site. They always say sorry call this number but then you get somebody in Asia who does nothing. Dont believe that you get unlimited on 55 dollar Walmart card because you get slowed down really quick. Customer service is *** poor. Low speed only. No refunds. told i used 10 mb in 1 day. i never used up 8gigs in a months time now u get 10gigs and in a week i used up all of it really funny how u use the phone in the same way u always do month after month and now you have no download speed seems awful funny to me of course when i called them they offer me to by another card to restore my speed i just want to know what the *** happened to all that data?